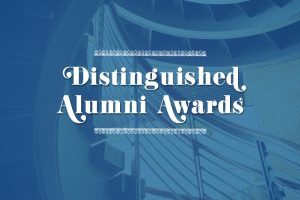 Washington and Lee University is proud to announce this year’s Distinguished Alumni Award winners. The recipients will receive their awards during Alumni Weekend, April 26 – 29, 2018. A commerce major, Harold was a member of Phi Delta Theta and played football and lacrosse. He received an MBA in finance from Harvard Business School in 1970 and began his career as vice president of the North Carolina National Bank in Charlotte. After seven years with the bank, he moved to Fort Mill, S.C., and became treasurer of Springs Industries Inc. 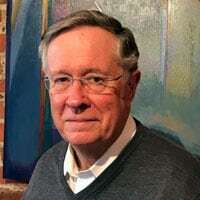 He then became the managing partner of Springfield Associates in Charlotte from 1980-1981 and then executive vice president of The Springs Company in Lancaster, S.C., in 1982. Seven years later, he began working with Canal Industries and affiliated companies and worked his way from executive vice president to president and chief executive officer of the company. After working several years in the business world, Harold became the acting dean of the E. Craig Wall Sr. College of Business at Coastal Carolina University from 2006-2007. He is currently the Principle of Stowe-Monier Management, LLC. Outside of work, Harold is a member of many profit and nonprofit boards, including SCANA Corporation, The Jackson Companies, Sea Mist Advisory Board of Directors, Canal Holdings and Ruddick Corporation. 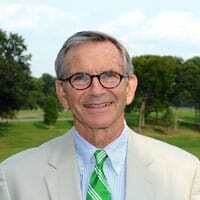 He is also chairman of the South Carolina Education Oversight Committee, chairman of the Smith Medical Clinic, and he serves on the Wall College of Business Board of Visitors executive committee and is chairman of the Wall Fellows Board. Harold has remained very involved with Washington and Lee. Two of his children are W&L alums: Blair Stowe Sumrall, M.D. ’00 and Patrick B. Stowe ’01. Harold has served on the Williams School Advisory Board, his reunion class committees, as a class agent for the Annual Fund and a Chapter volunteer. Wick was a member of Phi Kappa Sigma, the Student Executive Committee and sang in the University Glee Club while at W&L. After graduating from the W&L School of Law, Wick was offered a position in Staunton doing general practice. A Virginia native, Wick has been a Staunton leader and supporter for his entire career. Wick is co-founder and partner at Vellines, Cobbs, Goodwin & Glass, a full-service law firm. Within the Stuanton community, Wick has been president of the Staunton Music Festival and has sung in the Trinity Church Choir. He has served on the board of the Woodrow Wilson Birthplace, the Valley Conservation Council, Historic Staunton Foundation, the Community Foundation of the Central Blue Ridge, and the Staunton Economic Development Authority. Wick has been an adjunct professor at W&L’s School of Law, served on the Law Council, on the Alumni Board, been a Class Agent for the Annual Fund, a member of his reunion class committee and a Chapter volunteer. Wick and his wife, Betty, have two daughters, including Meredith Vellines ’00. At W&L, Lee was president of the Student Financial Relations Committee and house manager for the International House for two years each. She graduated with a B.A. in Russian Studies and later earned her MBA at Jacksonville University. Lee’s career in Human Resources began shortly after graduation. She is currently a director of global talent acquisition for Visa, where she manages global recruitment for all client-facing roles. Over the years, she has developed and led campus-, professional-, and executive-level recruiting programs. In the last two years she has handled all the staffing requirements for several major site openings, most recently in Manila, and now leads a team of 10 recruiters in countries on four continents. Since graduating, Lee has been an active volunteer for W&L, including serving seven years as the Jacksonville Alumni Chapter President, a member of the Alumni Board of Directors from 2004-2008, and Washington, DC Alumni Chapter President from 2016-2018. In addition, she was a class agent for 13 years, co-chaired her 10th, 15th, and 20th class reunions, and has voluntered in a variety of other roles for the University. 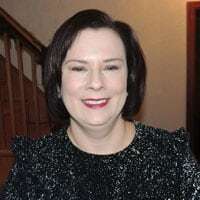 Lee also serves in leadership positions with her local and state Daughters of the American Revolution Chapters and volunteers with the Taproot Foundation. Lee lives in Washington, DC. She and her husband, Mike ’89, will celebrate the 25th anniversary of their Lee Chapel wedding this June. Their daughter, Victoria, is a Junior at Christopher Newport University. An art major at W&L, Lewis was a member of Sigma Chi and sang with Southern Comfort, the University Glee Club, the University Chorus and the University Chamber Singers. Lewis also holds a M.B.A. in marketing and strategy with a focus on social responsibility from Emory University. 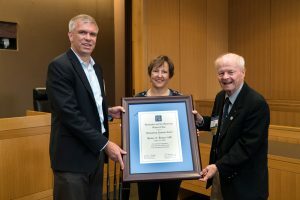 A passionate advocate for “doing the right thing,” Lewis has served as president of the Cradle to Cradle Products Innovation Institute since 2015. He previously led the Institute’s Fashion Positive initiative, which engages fashion designers, manufacturers, brands and influencers in creating Cradle to Cradle Certified™ materials and products with the circular economy in mind. Prior to joining the Institute, Lewis consulted with corporations and organizations on the social and environmental program development. He also served as director of sustainable strategies for The Mohawk Group, a leading carpet manufacturer and the commercial division of Mohawk Industries. 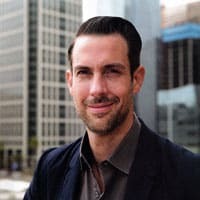 Lewis’ passion for sustainability and non-profit work has included strategic roles with organizations such as The Clean Air Campaign, 360i and USWeb/CKS. He is an Ashoka and C&A Foundation Strategy Thought Partner for social entrepreneurs, a 2016 and 2017 member of the H&M Global Change Award Expert Panel, a Design Mentor for the Council of Fashion Designers of America Lexus Design Initiative – Eco Design Challenge Accelerator. Lewis has stayed engaged with W&L as a member of his reunion class committee and as a Chapter volunteer.